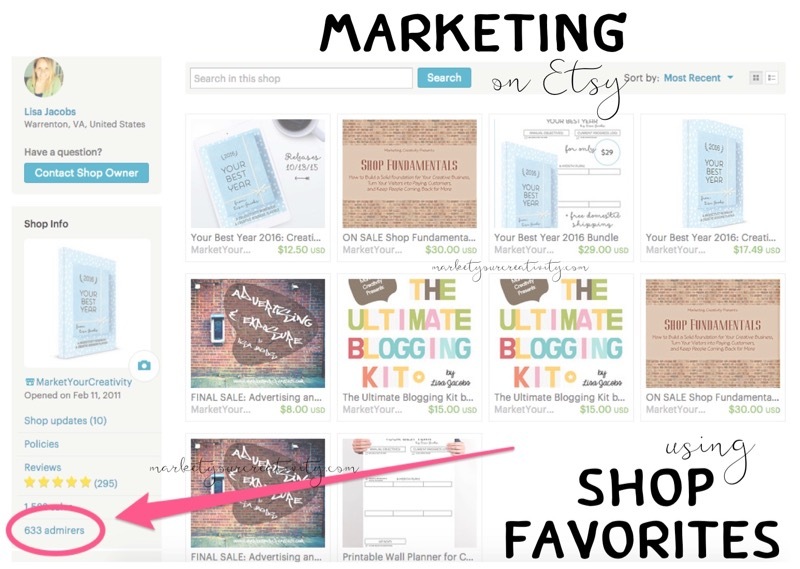 When you’re trying to make more sales on Etsy, you typically hear a lot of the same advice: keywords, search results, promoted listings, etc. 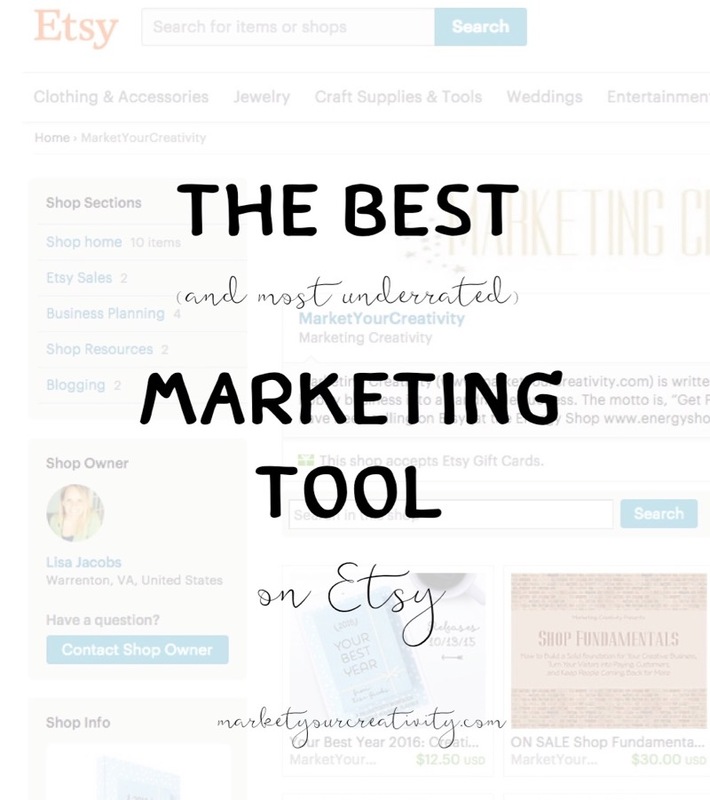 But today, I want to show you the best (and most underrated) marketing tool for your Etsy shop! I’ve been selling on Etsy for six years, and one thing I can tell you for sure about their search algorithm is that I can’t tell you anything for sure about their search algorithm. I’m sorry! It’s always changing, and it always will be, as will the storefront, the layout, the homepage and the user experience. When it comes to the overall look and marketplace capabilities, sellers are at Etsy’s mercy. 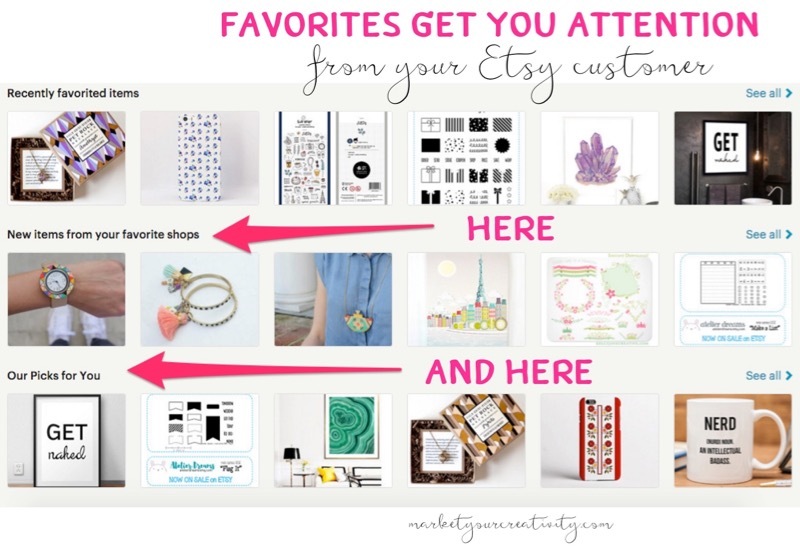 Utilizing the admirers collected on Etsy (aka “Shop Favorites”) is the best way to market your products to the marketplace. It’s a collection of interested customers! And because this post is sponsored in part by Best Auto Renew, I’m going to help you create a low-cost marketing strategy that you can put to use today! The “hearts” are usually organic. When I started out on Etsy in 2010, shop hearts were a big deal; everyone was trying to get more of them. But as we’ve grown as an industry, our tactics have become more business savvy and the focus has turned to email lists and social media followers. Meanwhile, organic favorites (in other words, “likes” you didn’t solicit), are a goldmine of untapped research and revenue. The people who heart your shop or product are familiar enough with Etsy and your brand to save what they like. That means you don’t have to introduce yourself to the customer or bring them to Etsy; they already know who you are and they’re already there! While social media followers are lovely, it’s paying customers that make businesses grow. Period. 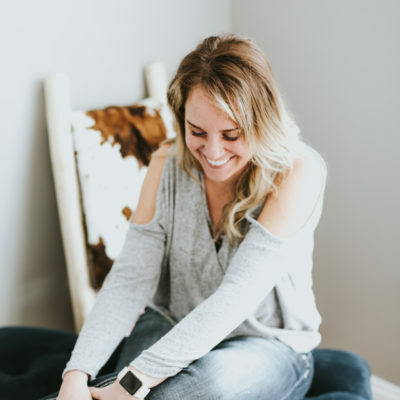 It typically takes a lot of work and patience to convert fans and followers into customers, but your Etsy admirers are a pool of interested visitors ready to buy. Favorites feed the “New Items from Your Favorite Shops” display. This is the biggest benefit of all. Have you ever noticed that one sale on Etsy often turns into several new sales in the same day? That happens because the product’s sale (and consequent renewal) refreshed your customer’s favorites list and put your business front and center on their Etsy homepage. Etsy then registers your product or shop as active and suggests your listings to even more interested customers. Etsy favorites do the reminding for you. In email marketing and online advertising, you often have to repeat the same offer to the customer several times before they buy. That is the nature of our industry; most of us are selling luxury wants and comfort items, and those purchases often require extra consideration. The average customer sees the offer up to 20 times before they buy. And therein lies the beauty of Etsy favorites! Every time your item sells or renews, it pops up in your customer’s feed to remind them it’s there! So, how do you convert all of those hearts into dollars? Good question! When your shop goes awhile without any new sales or product listings, can’t you almost feel how stale it becomes? 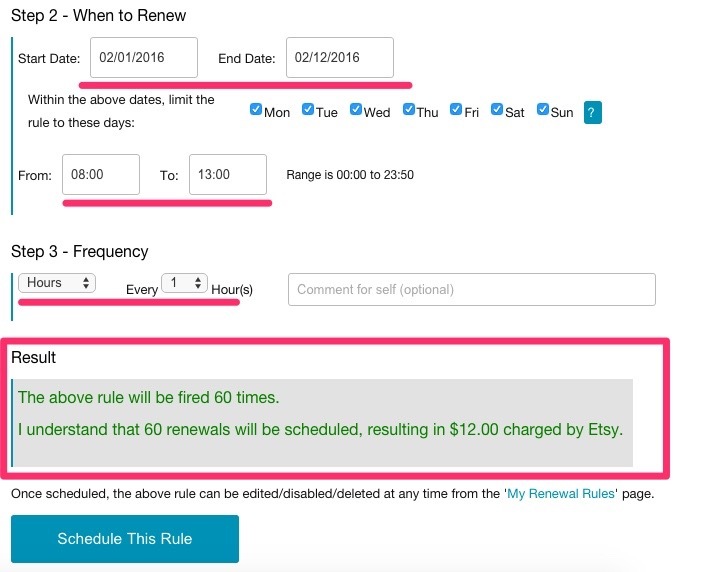 I used to resent my Etsy business for needing me to renew it and add to it on such a regular basis, but I’ve found a way to automate the process. I’m using Best Auto Renew to automatically refresh my shop while I’m away. It’s a very affordable service, and you can try it free for 14-days (no credit card required). Here’s my marketing strategy: you’re welcome to make it your own! In Best Auto Renew, I choose the product I want to promote by typing its title(s) into the search bar (Step 1 – not shown). Then, I set a start- and end-date for my campaign. My listings will autorenew from 08:00 (8AM) to 13:00 (1PM), because that’s when my shop sees the most sales (Step 2). Finally, I’ll let the software know how often I’d like my listings to cycle through and renew (every hour – Step 3). Best Auto Renew shows me the result; in other words, it lets me know how much this campaign will cost (60 renewals for $12.00). I then click the button to schedule this as an advertising rule. Next, I’m going to create a sales event during the same timeframe. 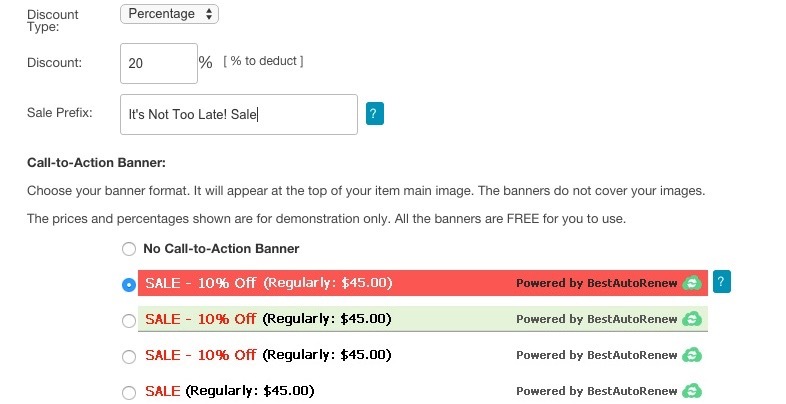 You can choose the product or category you want to promote, and then pick either a fixed percentage or dollar amount off (much like a coupon). I like to use coupon codes for email promotions and in blog posts (so that I can track where the sale came from), but I love Best Auto Renew for marketing my promotions directly within the marketplace. It creates a sale banner across the top that is eye-catching and hard to miss. Combining the auto-renewals with the active promotion is a powerful recipe! Every time the listing renews, it not only reminds the customer that the product exists, but now it’s also letting them know that the product’s on sale. Who could resist?! Don’t forget: Best Auto Renew is completely FREE to try (no payment required). There’s nothing to lose, but a ton of new customers to gain! Create a promotion (or borrow mine), run it within your 14-day trial, and enjoy the results. Here’s to your success! 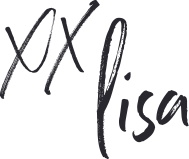 Thank you Lisa for this, your work is always clear and clever. I only have one concern. I have a buyer account on Etsy which is not the one I use to sell and from there I favorited my shop. I thought it could be overloaded of other sellers I favorited doing the same thing as I do: renew or die. I asked an Admin for explanations but received no interesting answers. I would guess that you haven’t created enough of a profile for Etsy to generate buying trends and activate the suggested favorites yet. I have two long-standing accounts, and it’s working just as it should on mine. Thanks, Lisa! I’ll be implementing this over the weekend! Great! Let me know how it goes, Tammy! I decided to try it out on Thursday and set it up to renew my most popular prints. I’ve had 3 sales in the last two days which is above average for me. Very happy with this tool. It’s paid off much better than promoted listings on Etsy. Excellent! Thanks for sharing your results with me, Kathy. This looks wonderful Lisa!!! I didn’t even know this existed!!! I’ve started reading all I can that you are offering – you are giving fabulous advice! I’m technically challenged, so even some of the basic ideas are difficult to work through but I really want to give this the best I can!!! I have subscribed to you – I hope I did that correctly!! Lol!!! I look forward to learning from you!! !